How much is Eddie Irvine Worth? 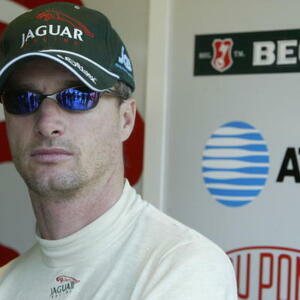 Eddie Irvine Net Worth: Eddie Irvine is a former British racing driver who has a net worth of $120 million. Eddie Irvine was born Edmund Irvine, Jr. on 10 November 1965, in Newtownards, County Down in Northern Ireland. He has had a prolific racing career with 148 races and 4 major wins. He got his first taste of the sport when his parents took him to the British Grand Prix as a child. While his father raced in single-seater cars for fun, Eddie chose motorsport to be his future career. He made his debut in professional racing in 1983 for Formula Ford and he advanced to Formula Three racing in 1988, before joining Formula 3000 in 1989. Eddie Irvine saw his big break as he started competing for the Formula racing series after being subsequently being picked up by the Jordan Formula One team in 1993. He has continued to build up his reputation in Formula One until eventually being signed by Ferrari as a partner to Michael Schumacher in 1996. 1999 was Eddie's most successful season as he turned won four races and took the Drivers' Championship for the last race in which he finished third. Eddie Irvine finished as a runner-up to McLaren driver Mika Häkkinen in the overall Championship. In 2000, he left Ferrari to join the new Jaguar Racing team, later becoming the only driver to get Jaguar to the podium in their short F1 history. Having achieved this feat twice, Eddie Irvine retired from the sport in 2002. The son of a Northern Irish garage owner who made profitable investments, Irvine was a millionaire before he even began racing. Following his father's example, he also invested in property and became the owner of some fifty flats and houses across the UK through his firm Chrishardzoe Developments. As for his Irvine Sports complex in Bangor, it is also doing well and even hosted a karting event in aid of Sport Relief. Aside from the above, Irvine has starred in the 2004 comedy "The Prince and Me" as himself, as well as he is the executive producer of a movie about Paddy Mayne, among other side projects.